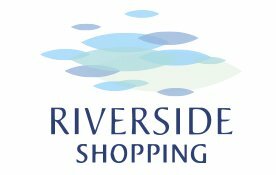 Get down to Riverside for the Food Fiesta Market on the 27th July! Stallholders will once again be putting together an array of tempting dishes to tickle your tastebuds using their own and local products especially for you! Spoil yourself with food offers such as hot pancakes, turkey rolls, hot chicken wraps, cheese toasties, gluten-free beef burgers, slow roast beef, organic burgers, hot mackerel baps, crab sandwiches, lamb koftas and a cream tea! 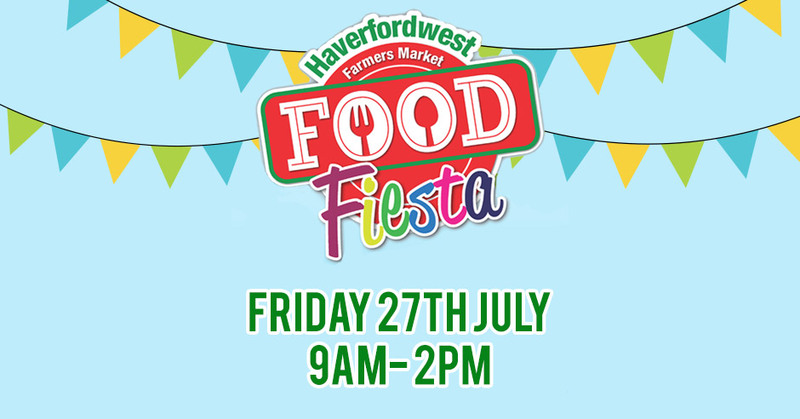 To celebrate Haverfordwest Festival Week, Haverfordwest Farmers Market will be presenting a hamper, packed full of delicious local produce from traders at the market, to one lucky winner! We have had some really positive feedback about our new market location, on the square outside Wilkinson/County Sports – with many of you saying that it creates more of a market atmosphere and of course, you can do all your shopping in one place! If you have not already visited our new market location, look out for the signs along the riverside, pointing you in the right direction! We welcome any feedback about our new market layout or your visit to the market and if you have enjoyed your experience, please review us on Facebook!